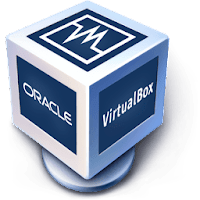 Oracle VM VirtualBox (formerly Sun VirtualBox, Sun xVM VirtualBox and Innotek VirtualBox) is a powerful, free cross-platform virtualization application for enterprise as well as home use developed by Oracle Corporation. Targeted at server, desktop and embedded use, it is now the only professional-quality virtualization solution that is also Open Source Software. VirtualBox extends the capabilities of your existing computer so that it can run multiple operating systems (inside multiple virtual machines) at the same time. So, for example, you can run Windows and Linux on your Mac, run Windows Server 2008 on your Linux server, run Linux on your Windows PC, and so on, all alongside your existing applications. You can install and run as many virtual machines as you like - the only practical limits are disk space and memory. Disclaimer: Direct downloads for the lastest version of Oracle VM VirtualBox 5.1.28.117968 are provided by the official software's author, we can't guarantee safety, availability or download speed. Moreover, we don't and we won't provide any pirated/illegal versions or tools. We recommend you to avoid it as these methods can harm your device. If you like the software, buy it to support the developers. (We provide software discounts for many worldwide brands).